Whether your next outdoor adventure includes a little camping, hunting, or fishing, the Textured Grip Survival Knife prepares you for the various survival tasks met along the way. Its basic design keeps utility and function in mind. 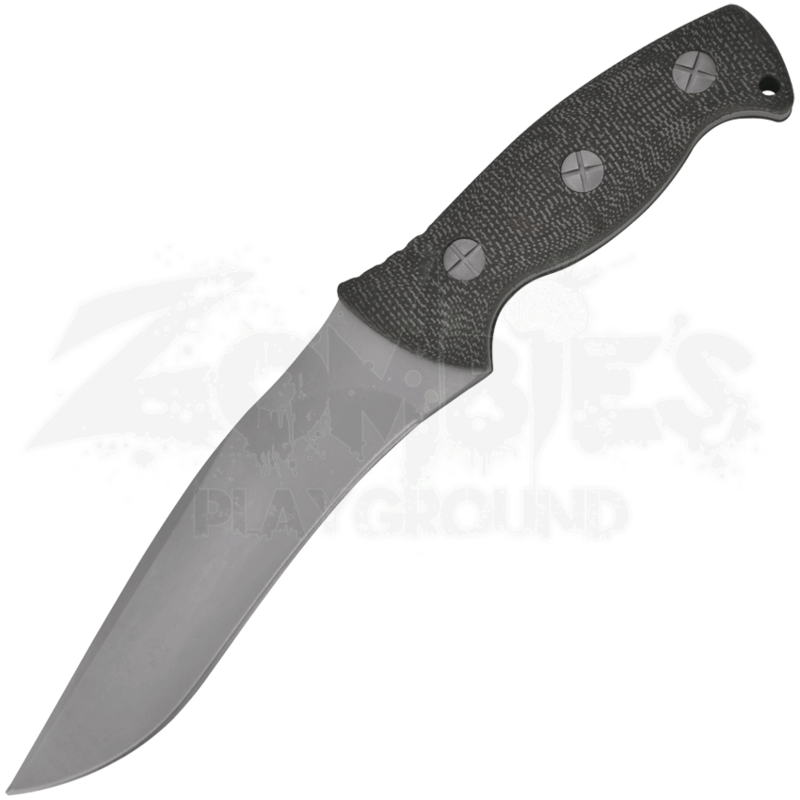 The drop point blade is crafted from stainless steel, offering durability and strength. The textured handle made of G10 resin supports a steady, firm grip. A hole at the tip of the handle makes it easy to attach a lanyard. 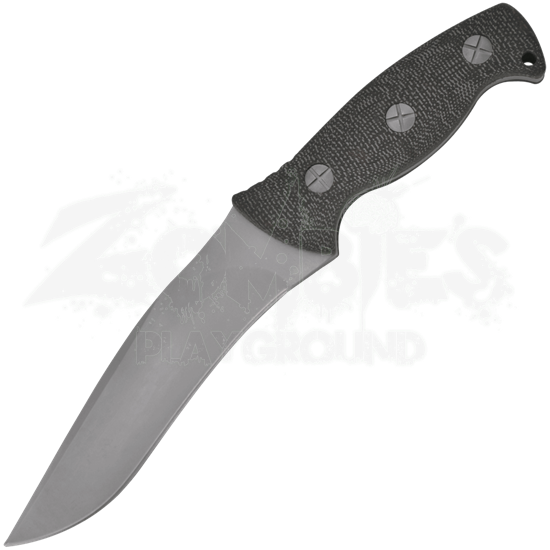 Keep this hunting knife within easy reach by storing it in the included tactical sheath.